In addition to a wide range of member benefits, SAL also arranges discounts and offers for our members on goods and services. We would like to increase the supplier listings on the site. All net revenue is reinvested in the services we provide for our members. If you are a member who knows a good supplier that others might benefit from, or you are a company who would like to be listed here, please let us know by emailing advertising@scottishlandlords.com and we will contact you with rates and information. The Scottish Association of Landlords does not necessarily endorse any company listed here. We are not in a position to check the goods and services on offer from advertisers but we welcome your feedback on the companies listed. We’re Airsorted – we make home-sharing hassle-free. We market our clients’ homes on Airbnb, other platforms and also on Citylets, Rightmove and Zoopla for medium term bookings. Airsorted have been managing short term lets in Edinburgh for two and a half years and manage over 560 properties for homeowners in the capital. Globally we have made hosts over £50 million since 2015. Some of our clients use us for holidays and festivals and others all year round, do get in touch if you would like to maximise earnings on your property through short or medium term letting. Specialist insurance brokers to landlords. We have arranged cover for members of the Scottish Association of Landlords for over ten years. 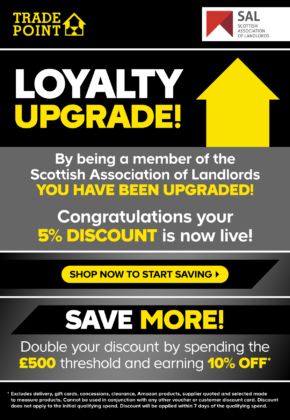 Exclusive discounted rates apply to all members of Scottish Association of Landlords. SafeDeposits Scotland is Scotland’s favourite tenancy deposit scheme, protecting deposits for approximately 60% of the market. We are the only tenancy deposit scheme based in Scotland, operating from our office in Glasgow city centre. Here at the Eco Providers, we are specialists in obtaining insulation grants, with over 14 years’ experience in end-to-end solutions for the improvement of energy efficiency in homes or domestic and commercial properties nationwide. We are experts at helping you reduce your property’s energy consumption by installing the very latest insulation measures, ensuring that they are tailor-made to each property. We guarantee to significantly improve the energy efficiency at your property, ultimately saving you money! We install three different kinds of insulation. They are Room in Roof, Loft and Internal Wall Insulation. Our team of experts can help you understand which, if not all, would be best for your property by carrying out a FREE survey at your property. 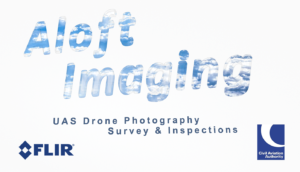 Aloft Imaging is a CAA approved UAS Drone Company based in Central Scotland offering cost effective property inspections & photography to commercial and residential landlords. A solution for building surveys with huge savings when compared to more expensive traditional methods of scaffolding, platforms or hiring a cherry picker. We are safe and legal and fully insured with up to £5m Public Liability cover. We also provide thermal surveys with our drone…you may have paid for solar panels on your properties and we can detect problems invisible to the naked eye with our thermal camera identifying: electrical faults, manufacturing defects and physical damage. 10% discount for SAL members. SAL members (Landlord, Business and CLA memberships) are eligible for a free TradePoint discount card which provides a 5% discount regardless of your monthly spend and 10% for those spending over £500 per month. TradePoint is the trade only arm of B&Q, offering a huge range of trusted brands. Get discounts on building, decorating, plumbing, electrical, kitchens, bathrooms, flooring, tiling, landscaping, tools, safety and workwear products and take advantage of a special arrangement with Speedy Hire, helping you to make repairs and maintain the condition of your property at a lower cost. Shop in store and benefit from ‘click and collect’ or online. I'm already a member. Please share my name, address and email address with B&Q to provide the card. Can we keep in touch by email? Don’t lose money due to condensation and mould. Fed up with your tenants complaining about ‘damp’, condensation and mould? Lost money re-decorating your properties? Lost income from your tenants who move? Concerned about a visit from environmental health officer? We provide a guaranteed lifetime cure that is ‘tenant-proof’. For more information and to take advantage of our discount exclusive to SAL members please visit www.gaselecscotland.co.uk call your local office on: 01315 163 133 or freephone: 0800 587 9999. Home Energy Scotland is the free, impartial advice service funded by the Scottish Government. We can help you make your rented properties more efficient, with funding and tailored advice from our local specialists. With minimum energy efficiency standards for private rented homes coming into place from April 2020, this is the perfect time to make energy saving improvements to your properties. Doing this can improve conditions for your tenants which can lead to lower turnover of tenancies, as well as reducing potential issues like damp. Call Home Energy Scotland free on 0808 808 2282 for impartial advice about improving your property’s efficiency. A specialist may be able to visit your property to assess what can be done and give you a tailored report with recommendations. We can talk you through your EPC to help you work out how to make your properties more efficient and improve your EPC rating. We’ll also let you know about funding to help cover the cost of energy efficiency improvements, including interest-free loans funded by the Scottish Government. Scotland’s national landlord accreditation scheme offers specialist training sessions all over Scotland designed specifically for landlords and letting agency owners or staff. See the LAS website for dates and locations. Bespoke onsite training also available – email LAS for information and pricing.